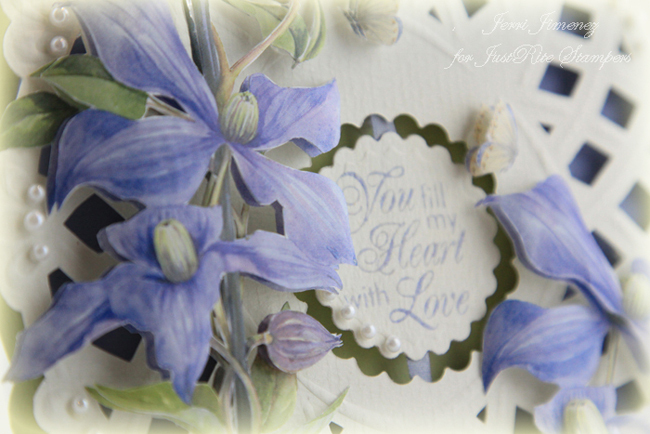 I’m so excited to show you another new set from JustRite Stampers that I just love. This set is coming out with on January 1, 2010 and is called Loving Thoughts. 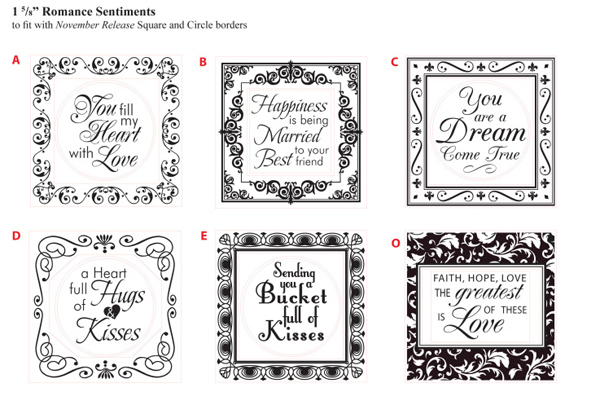 This design is a sneak peek of one of the sentiments included in the set. This set is JustRite Stamper’s second centers only set. It has been designed so that you can use it with all your 1 5/8″ borders as well as the new 2″ Decorative Frame Borders. Six designer centers are included in the set for $14.95. 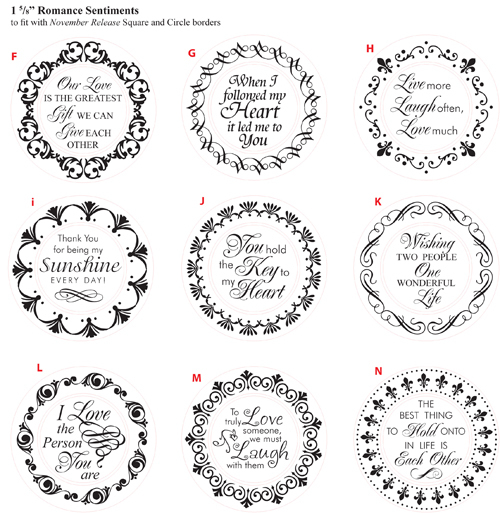 You can also combine the set with the 2″ Round Decorative Borders and the 2″ Square Decorative Borders to create some beautiful combinations. 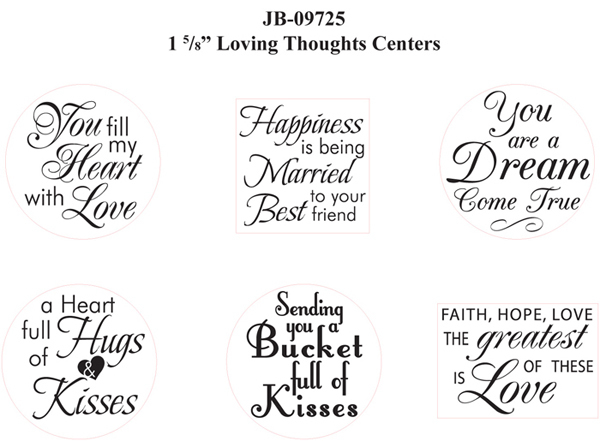 The sentiments can be used for weddings, anniversaries, Valentine’s Day or any special occasion. 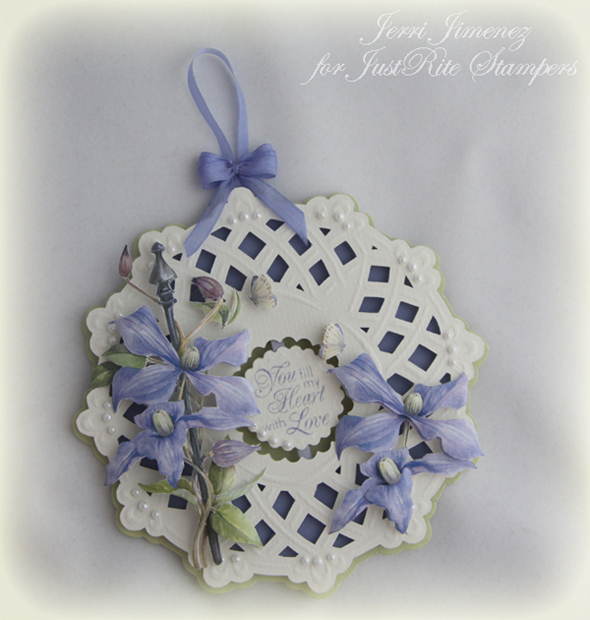 I used the Lacy Basket stencil EH 1856 in this design. 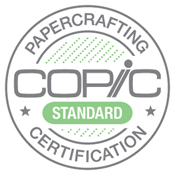 The center medallion was cut with Large and Small Scalloped circles from Nestibilities. 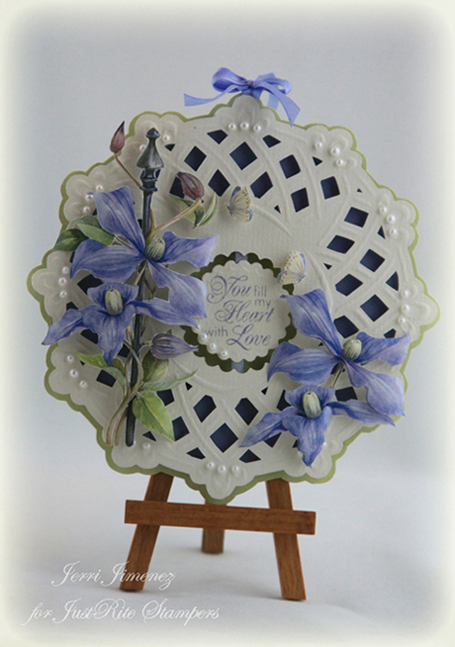 The 3D decoupage paper used in this design is available here. Joy!Craft White Pearls were placed around the edges of the design. 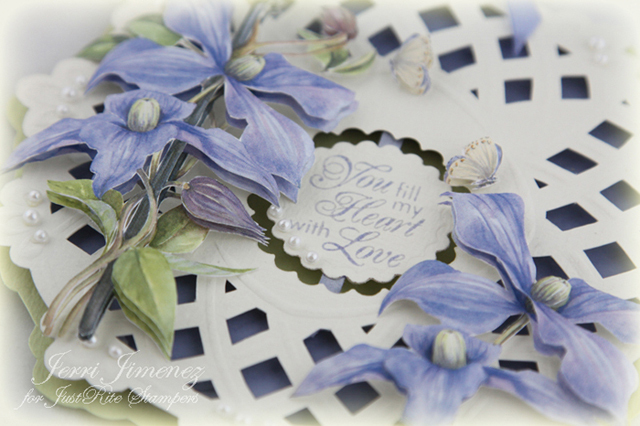 I used a X-Acto craft knife for the cutting of the embossed design, as well as the flowers. Look closely between the layers of the paper to see if you can see the PergaKit. I’ve provided closeups of these photographs to show you the dimension of the flowers and layers. 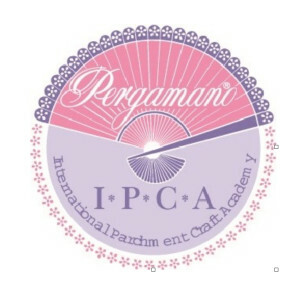 PergaKit (silicone 3D adhesive) was used throughout the project. I dyed May Arts 1/4″ and 1/8″ white silk ribbon by running it across an Almost Amethyst ink pad. I also used Almost Amethyst to stamp and emboss the sentiment. I’m happy to share with you that after trying the printed papers in this design, as well as the Romantic Sentiments design, I’m thrilled with them and will be selling them in my store. They are very affordable at $1.60 a sheet. The sheets come with two-to-three different designs. They’ll be listed in my store within a week or two. 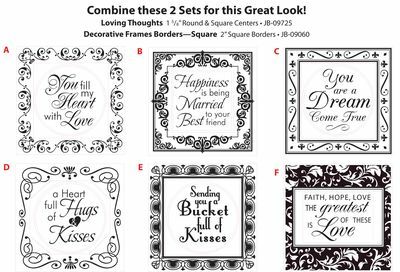 You can combine Loving Thoughts with JB 09060 2″ Square Decorative Frames, as well as JB09050 2″ Round Decorative Frames, as shown below. This set contains a combination of 1 5/8″ round centers as well as square & rectangular centers. The 1 5/8″ centers can be used with all of our 1 5/8″ borders. I’m also excited to share that I’ll be selling all of these beautiful stamp sets in my store. Romantic Sentiments and Loving Thoughts will be released January 1. If you’d like to pre-order these sets, please e-mail me and I’ll place you on a pre-order list. 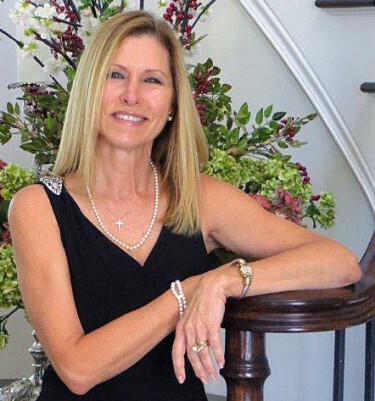 Thank you so much for stopping by to visit, you keep me inspired! Jerri, you seem to top yourself on every post. This is gorgeous. 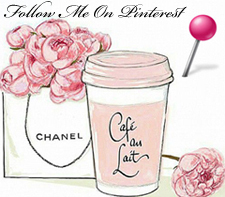 Hi Jerri, your cards and things are so beautiful, I haven’t seen any other sites with cards like yours. I have a question, the stamp set from just rite, do yo need a machine to use the stamps? For instance, the baby set that is on sale, do I need to buy anything else to you them or are they rubber and you just place them on a block? Just gorgeous, Jerri! Can’t wait until they’re in your store! the card is beautiful. I am familiar with the 3D sheets are the ones coming to the store like that or would someone have to purchase more than 1 sheet at a time? Also will you start shipping again after the holidays? Thank you Merry Christmas. This is just lovely. Can’t wait to see the pages with the prints of flowers. Oh Jerri, this is absolutely beautiful. I love the soft colors and the Clematis looks so real. Such a stunning creation. Absolutely gorgeous Jerri, everything is so soft and elegant. Thanks so much for sharing. As always this is just stunning and so elegant, I love everything you do. Absolutely Beautiful, the flowers look so real! 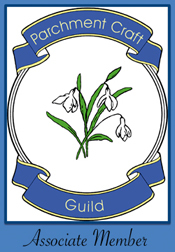 This isn’t a card – it’s a work of art! It is truly beautiful and your attention to detail makes it perfect.